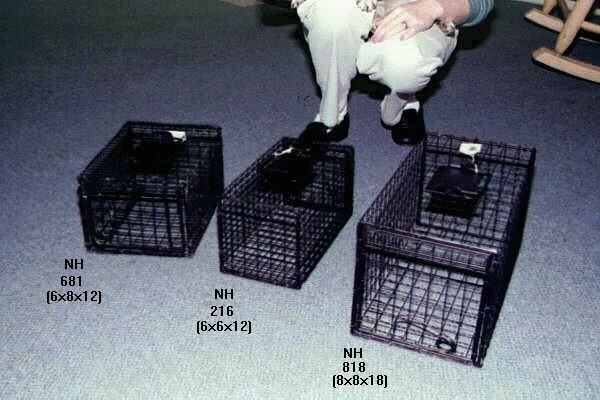 CASE DESCRIPTION: The NH681 is 6"T x 8"W x 12"T. The NH216 is 6"T x 6"W x 12"L. The NH818 is 8"T x 8"W x 18"L. These cages are used to transport trapped animals. They have special doors which will fit around most small traps. This enables the trapper to move trapped animals from the trap to these cages without having to handle it. 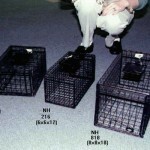 WHERE TO USE IT: Any small animal trapped that will fit inside the dimensions of these carrying cages.